Meeting the needs of the organisers of major public events alongside a commercial farming operation and a historic house, gardens and park is quite some balancing act. 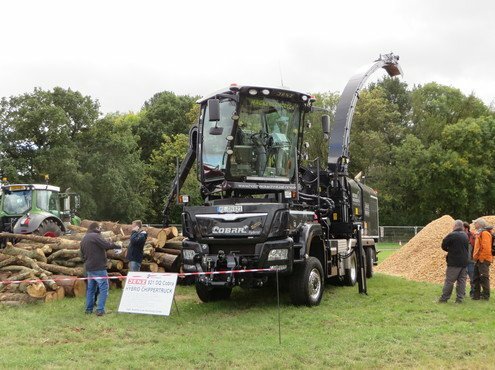 It's a task which grows year on year for the team at Ragley Hall in Warwickshire, home to leading country sports event the Game Fair, the APF Forestry Show and, from 2020, the Grassland and Muck farming demonstration. 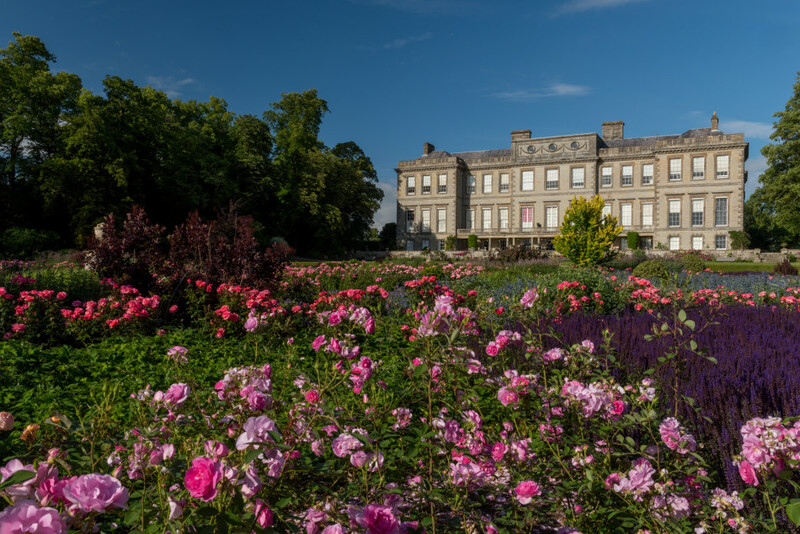 A full calendar of smaller public events, private functions and Ragley's own programme of hall and garden attractions means that there is rarely a quiet spell. "It's a question of thorough forward planning and taking the opportunity of any quieter times, such as the winter months, to do major renovation and restoration work," explains farm manager Hamish Stewart, who has responsibility for the estate's 3,500 acres of arable and grass farmland as well the parkland, and has to draw up his grazing plan up to twelve months ahead. Ragley recently celebrated sixty years of being open to the public, after the current Marquess of Hertford's father began to look at ways of generating income to help restore and maintain the estate in 1958. "There was tremendous public interest, with reports of cars queueing back along the drive and the local roads," explains head gardener Mark Morrell. "However, there is a lot more competition these days, with a number of historic properties locally, so events and private functions have gained in importance." He adds that, like many historic properties, Ragley has had a chequered history, with significant work required to restore the estate when Lord Hertford took over in the middle of the 20th century. With a growing demand for outdoor events, concerts and festivals, the 500-acre grounds have proved to be a significant asset. 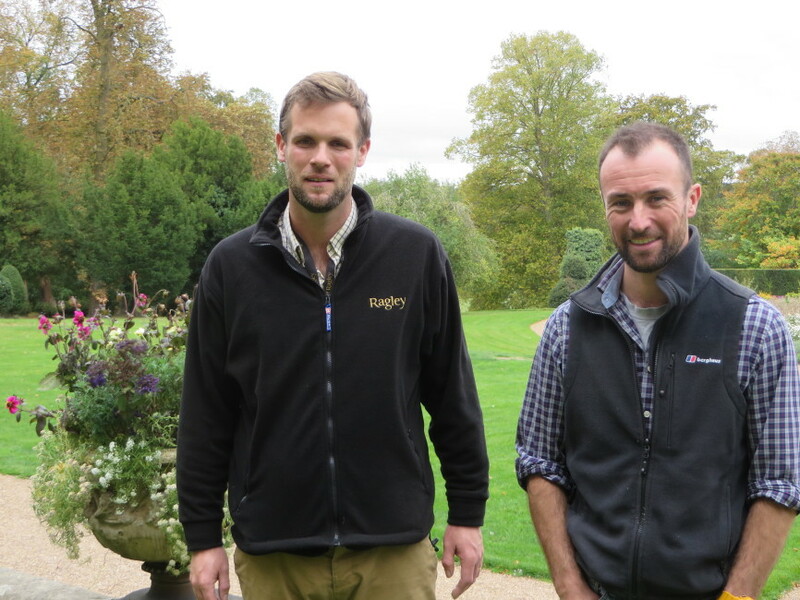 "We have to manage the grounds as broad acres, using machinery that can maintain the grass efficiently and quickly rather than having a member of staff dedicated to grass cutting," explains Hamish. "We also have 1200 ewes and can graze it although, to meet environmental health regulations, they have to be off an event site twenty-eight days before it begins." He admits that it can be a juggling act some years: "In summer, we can either have too much grass and need to keep cutting it, or no grass at all which makes the park rather arid. 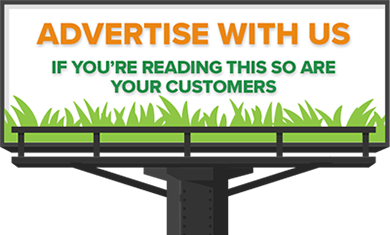 And it's important not to let the grass get too long, as the clippings look untidy and can be a fire hazard." The main grass cutting tool is a Spearhead Multicut 8.2m rotary mower with mulching blades to give a tidy finish, whilst Spearhead toppers are also used where presentation is less crucial. "Correct machine set-up is important, as the parkland is undulating, and scalping is a risk with such a wide mower, yet we need to be able to cut tight," comments Hamish. "However, we do have the advantage of using GPS autosteer on the tractors to ensure that each pass matches up accurately on the large areas that we cut." Timing is another issue, with grass cutting having to be fitted in around busy farming periods, such as lambing and harvest. He adds event traffic is the biggest headache when taking the grounds back after a major event, although the well-established parkland turf is fairly resilient and recovers well from damage. "We appreciated that this year - despite the driest summer on record, it rained during our three busiest events! The sward carries traffic fairly well and the soil doesn't rut, plus trackway is used for the major events to protect the ground." 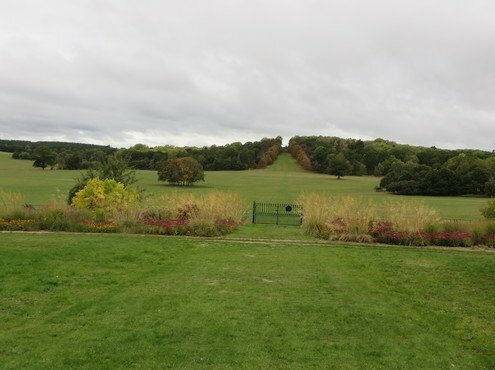 Choice of grasses for renovation is restricted by the estate's parkland restoration programme which aims to maintain the original character of parkland turf. Permanent underground services installed for major events - water pipes and fibre optic cables - also dictate the nature of renovation equipment. "We can't decompact to any depth because of the services, so our programme involves aerating, harrowing and rolling," Hamish explains. Weed control also has to take into account the parkland environment, so weed-wiping is used to control nettles and thistles without affecting favourable species, with spot spraying required under trees. "We have a huge weed bank and, in any bare areas that occur, weeds spring up. But we try to be selective." 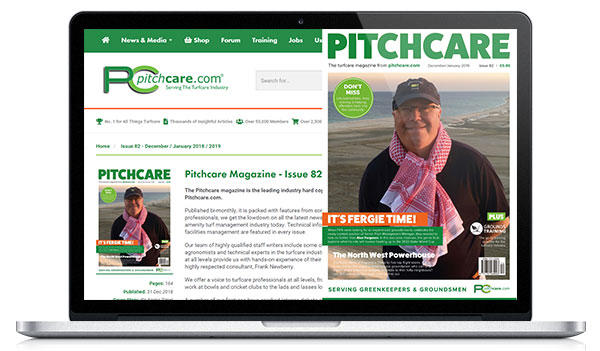 Tractors - with the exception of a John Deere compact in the gardens - are run year-round on agricultural tyres, but he comments that the latest Michelins can be run at low inflation pressures and flex to protect the turf. The Ragley team are also carrying out a programme to restore parkland features such as a header pond and cascades at the top of the lake, originally created by Capability Brown when the park was landscaped in 1750. "We don't have an archivist, so we've done a lot of research into the original features ourselves, using search engines, old papers and publications," comments Mark. Hamish adds: "It's fascinating, but there seems to be a lot of detail on some features and nothing on others. 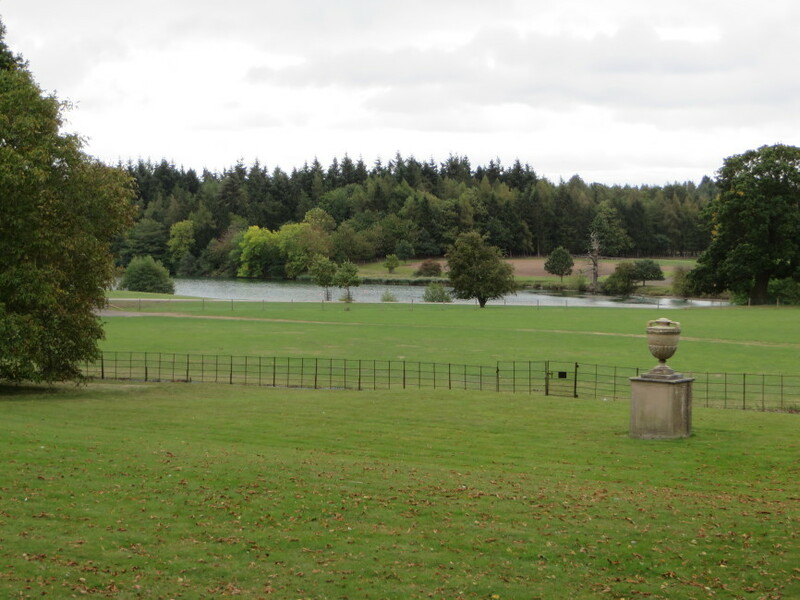 We discovered that Capability Brown used smaller drops in cascades and built them in brick, so the steeper stone parts would appear to be a later addition." Uncovered original documents and new technology have been married in a project to replant trees in their original positions - original maps are overlaid onto modern maps and GPS positioning used to site the trees precisely. 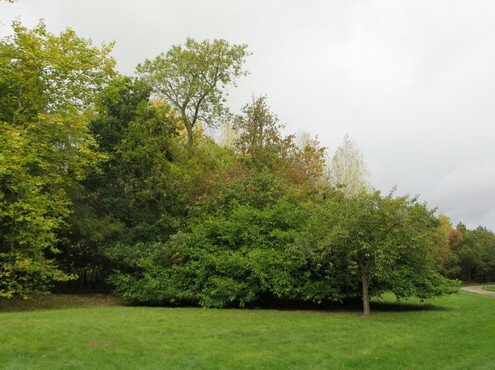 The project was close to the 8th Marquess's heart and a large number of sixty-year-old trees planted to commemorate his heir's birth are thriving in the parkland; many are cherry, providing a welcome harbinger of spring. The original trees are said to be part of the ancient Forest of Arden, and the estate has one person dedicated to tree care. "There are 1200 acres of woodland, some of which is commercial and some managed for forestry but, on the parkland, we always have to consider safety, especially with the older oaks," comments Hamish. Reinstating the original cleft oak deer fence is also ongoing, although this may not have found favour in the past - local legend suggests that, due to a lack of interest in deer farming during World War I, the estate's herd were turned loose in the local countryside! 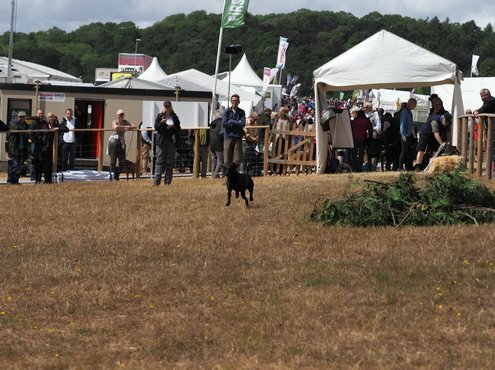 Grass exhibition areas, campsites and car parks for events such as the APF and Grassland and Muck events are effectively grown as a 'crop'. "After the APF show, we ploughed up the show site ready for a crop of wheat to be drilled. 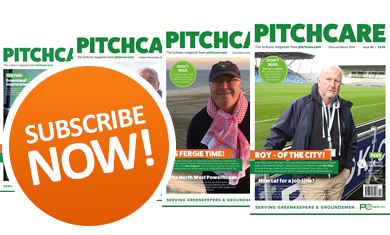 Any damage is less of an issue long term as the grass is only down for a year and you then get the opportunity to 'press the reset button'." Farm equipment is used to establish the grass, but seed is double drilled or broadcast behind a cultivator to avoid emergence in rows. "We use our Vaderstad drill with the back end lifted out and blow the seed on to spread it using a Stocks broadcaster," explains Hamish. Husbandry of these areas is a nifty mix of farming and groundsmanship, and a crop of silage or hay may be taken off the grass before the event. "We have to be aware of the impact of the previous crop on the grass for events, for example treating any weeds that come up," he comments. 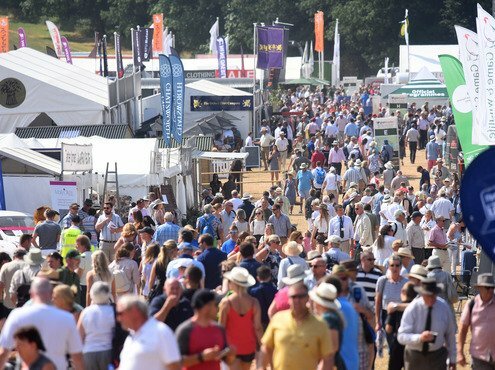 Ground preparations have to be completed well in advance for handover to the event organisers - for a major event such as the Game Fair, contractors can be onsite for a total of twelve weeks. 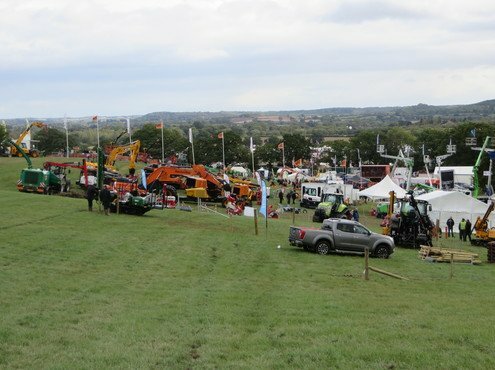 There will be some overlap between the Grassland and Muck and APF event breakdown and build-up in 2020, so this will also have to be factored in. Some clients carry out their own extensive site works as part of their booking - the Game Fair takes out and later replaces park fencing to suit the exhibition layout and has developed a game cover area for gundog competitions, whilst Grassland and Muck organiser, the Royal Agricultural Society, will grow individual grass variety demonstration plots on behalf of exhibitors. 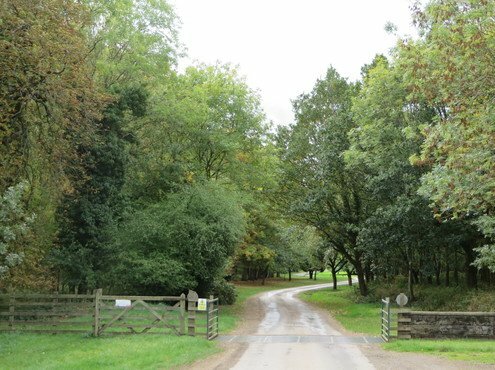 Ragley has been able to turn this cooperation to its advantage in some areas; where new trees have been planted to replace those from the original Capability Brown landscape, several of the tree shelters have been installed by the Game Fair to hide fibre optic service points. The twenty-six acre gardens, previously open to the public five days a week, are now reserved for specific garden activities and for events, functions and private tours. "We have autumn garden days in October and snowdrop days in February, and the gardens play a key role in the many weddings and other functions," explains Mark. They have an interesting history, being a relatively recent addition, he explains. "The current house was originally planned in 1680, although there had previously been a house where the rose garden now stands. In fact, the 'new' house was not decorated and furnished until 1750, so the two houses stood side by side. Before Robert Marnock was commissioned to design the gardens in 1873, livestock were grazed right up to the terrace!" To manage labour costs, and accommodate a wider range of uses, former flowerbeds immediately behind the house are now lawned to accommodate marquees. "Ragley is very popular for weddings and, as the Great Hall can only seat 180, we add marquees which can take 400-500 people," he explains. "It can take its toll on the grass, especially in a dry year such as this." Mark comments that the rose garden is the main focus, but another key attraction is the winter garden, home to eighty varieties of snowdrop, drawing crowds of enthusiasts as well as the general public in February. A wildflower garden has replaced formal flowerbeds shown in 1920s photographs and provides an attractive interface between the parkland and rose garden for guests. The reduced opening hours make for easier management, he reflects, especially when carrying out renovation projects. "We are currently clearing and replanting wildlife ponds, which have to be cordoned off when any events are using the gardens, and, when the summer bedding comes out, we plant 6,000 tulip bulbs." However, winter events still have to be accommodated with an uphill struggle to renovate lawns after November's Frost Fair. With two years under his belt as head gardener, Mark has got to grips with the garden's challenges and is planning a number of developments. "The many mature trees mean that the lower part of the garden is dry and shady, so planting has to take this into account. 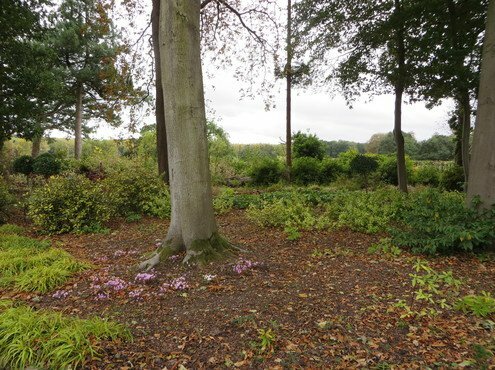 I'm aiming to improve the flow between the different areas, such as the stumpery and herbaceous borders, and to redevelop others that are not working well." This has included removing large amounts of bulrushes from the wildlife ponds, home to four engaging sculptures of the Marquess's children, and establishing water lilies; creating new paths and viewpoints between the features and replacing annuals in the secret garden with perennials. 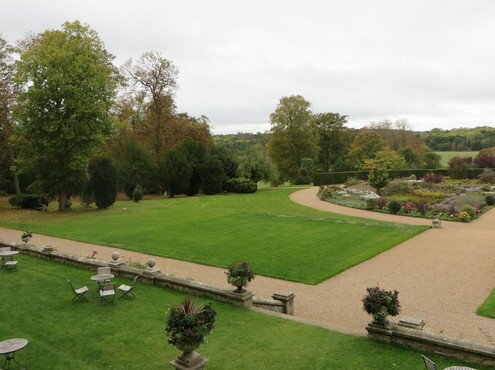 With a birds' eye views into the expansive parkland, the garden provides an added dimension for event organisers. 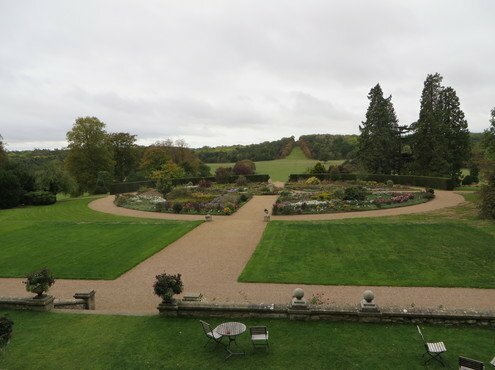 It also gives their audiences a unique up-close glimpse of the heart of this historic estate where the committed owners and estate team have safeguarded its future by proving that a commercial enterprise can co-exist with a family home.